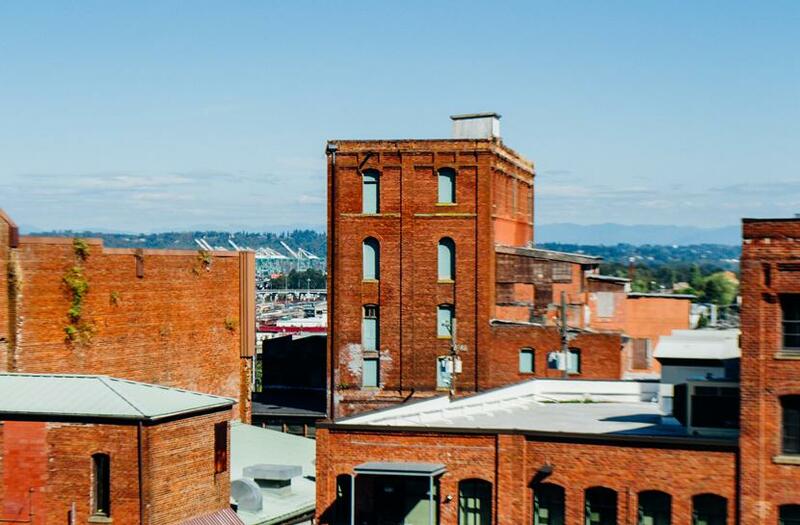 Historic Tacoma’s Watch List brings architecturally, culturally and historically significant sites to the attention of Tacoma residents. Our goal in publishing this evolving list is to increase awareness of historic properties that are in transition in order to encourage conservation and adaptive reuse. Help us promote, conserve and enhance Tacoma's architectural character by joining our emailing list, making a donation, or volunteering. Some buildings are in danger because they are proposed for demolition, are suffering deterioration due to neglect, or are subject to potential redevelopment which would destroy significant historic features. Others are in the process of rehabilitation. Whenever appropriate, we also report success stories of creative adaptive re-use. The Watch List evolves as conditions change. 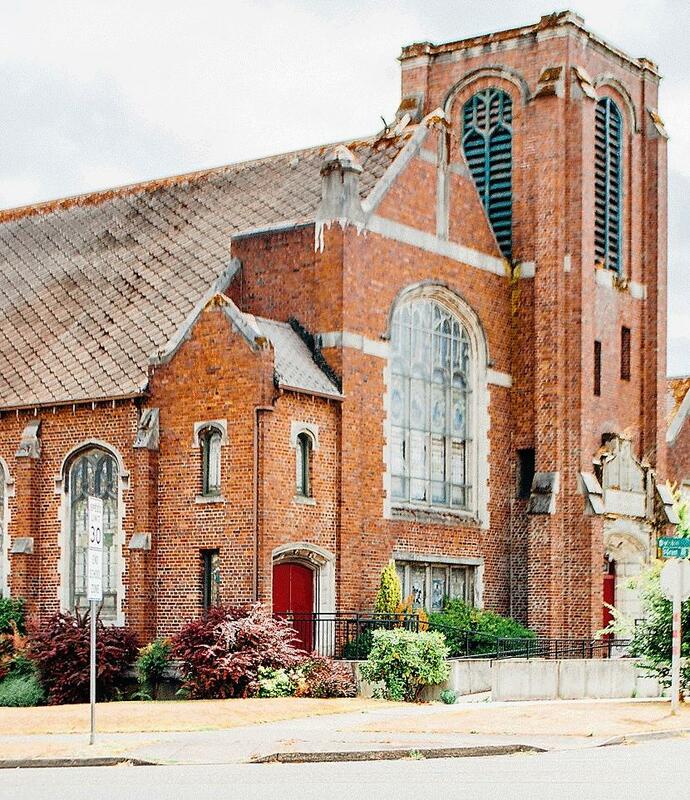 The list may include historic landscapes, commercial and residential properties, buildings with industrial character, buildings from the recent past, social and fraternal halls, and sacred places — all of which typify Tacoma’s past. If you want to nominate a property to Historic Tacoma's Watch List, LEARN MORE. Finally, please *Share* this Watch List with others who are interested in historic preservation. Holy Rosary Church was formed in 1891 largely by German Catholics and a wooden church built. A parochial school was added in 1892. Growth by 1912 necessitated a new sanctuary, and services were held in the school auditorium for nine years. In 1921 the current Gothic Revival style sanctuary was dedicated. The church was the largest building in Tacoma heated by electricity at the time. The stain glass windows are thought to come from Belgium. The steeple rises 200 feet and was originally topped with gold leaf and a cross. The current aluminum cross was created by students at Tacoma Vocational and Technical Institute to replace the original lost in the 1965 earthquake. The church dominates the skyline of Tacoma and has long been a visible landmark from I-5. The church is currently listed on the Tacoma Register of Historic Places. Charles Frederick W. Lundberg was a noted Tacoma architect who practiced here from 1908 until he retired in 1941. In 1913 he entered a partnership with C. Frank Mahon. Interestingly Mahon was an engineer as well as architect, and the firm was unique in offering both architectural and engineering services. The Catholic Church provided many of the firm’s important commissions, and Mahon was a member of Holy Rosary. They dissolved their partnership in 1923. Notable works: St. Joseph’s Slovak Catholic (1912), Washington Theatre (1913), Lynn Funeral Home (1918), Orpheum Theatre (1919), Realart Theater (1919), St. Patrick’s School (1919, demolished), Holy Rosary Catholic (1920), Sacred Heart Catholic School (1924), Visitation Catholic Church and School (1913), Holy Rosary Catholic, Seattle (1937). 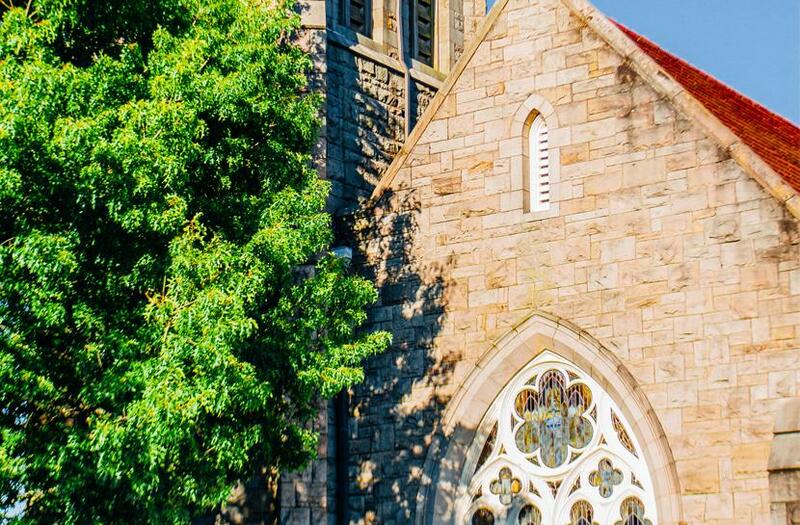 Currently members of the congregation are focusing on fundraising and applying for grants, such as The National Fund for Sacred Places, a program of the National Trust for Historic Preservation in collaboration with Partners for Sacred Places. 125th Year Commemorative book of Holy Rosary Parish in Tacoma. Includes history, art, and architecture. News Tribune: "Crumbling Tacoma icon needs $10 million in repairs"
These several blocks are currently zoned R-4L (Low density multi-family) and many of the large houses here are now apartments. That designation has not prevented some muddled conversions, but the height limit of 35 ft. has limited demolition. However, this area is slated to be rezoned to R-4 Multifamily with maximum height of 60 ft. That greatly increases the development pressure and the likelihood of demolition. It means the city’s urban plan is to see the remaining houses replaced with three-story apartment buildings. Combined with blocks already zoned for 60 ft, more than 33% of the Stadium-Seminary National Register Historic District would be endangered. This would be a very sad loss for the city and this neighborhood. We will continue to monitor the situation. You can also send comments to the Planning Commission regarding the proposed up-zone at planning@cityoftacoma.org. The public hearing on the up-zone is scheduled for May 1st and you can get more information HERE. 404 -424 N. Tacoma Ave., 401- 424 N. G St, & 401-510 N. Yakima St. Immediately adjacent to, and to the south of, the Union Depot/Warehouse Historic District, the Brewery District includes a number of properties of historic significance and design interest. The area is near the south end of the Thea Foss Waterway, near the spot where Nicolas Delin established his sawmill in 1852, home to the first Euro-American settlement in the area that later became New Tacoma. Part of the district is protected due to Conservation District status; some individual properties are listed on the Tacoma Register of Historic Places. Historic District status was considered by property owners in mid-2001 and was revisited by the Hillside Development Council in approximately 2008. In 2012-13, the Brewery District was again in play during the South Downtown sub-area environmental impact study and planning process. Status as a Historic District would preserve the unique character of the district and should be considered for its potential economic and design implications. The Hillside Development Council recommends a master development plan coordinated with plans and needs of surrounding districts and entities, developed with input from stakeholders. “Tacoma and this area have experienced an initial surge of development success but desperately need comprehensive planning, direction, promotion, entrepreneurial and governmental support for it to avoid stagnating and to continue to move towards what it could and should be.” For more information, download the 2001 Brewery District Steering Committee Final Report. The Brewery District’s major threat and loss was Heidelberg. Since that time, the Nisqually Substation (Tree), JET Tools warehouse (7 Seas), and the Horizon properties have all been or are in the process of being rehabbed, and the City Barn is listed and has been partly restored. This report was completed in 2001. Stanley T. and Frederic J. Shaw designed this Gothic Revival style church, dedicated in 1923, as a community gathering place. The social hall was originally open every night of the week. The business community of the Sixth Avenue District supported the church and helped the building committee raise funds. The Sunday school building originally housed 26 classrooms with a roof garden for social functions in the summer months. The auditorium was designed to house 400. The large tower over the front door is truncated but was originally designed to have a tall steeple. Hector MacLaine made the complicated concrete stonework and window tracery for this building. This was the first time this type of complex work was produced in Tacoma; previous congregations sent to other cities for the molds. MacLaine made more than 200 different molds, each turned with carpenter hand tools. A native of Scotland, Hector was trained as a shipwright. The building was constructed at a cost of $85,000, the largest project undertaken by the Shaw partnership. The building now houses Trinity Presbyterian Church. It is not listed on any historic registries. In 1924 noted Tacoma architect Roland Borhek designed this handsome Colonial Revival house for William C. Hobart. The 2 ½ story, frame house with shallow hipped roof and wide eaves illustrates the exaggerated Georgian details common of high-end Colonial Revival (sometimes called Georgian Revival) houses. The massive round arch with decorative brackets and large side lights set in a projecting center section creates an elaborate portico entry. At the second story, the center section recesses with a decorative metal balustrade and a triple window. One-over-one, double hung windows of varying sizes and configurations with oversized lintels add to the decoration. The house is a contributing structure in the Stadium-Seminary National Register Historic District; however, this designation is honorary and does not protect it. William C. Hobart was a longtime Tacoma timberman, president of Pacific National Lumber and associated with Henry McCleary Timber Co. By 1933, John P. Weyerhaeuser, Jr. of the noted timber empire moved to this house. Famously, on May 24, 1935, John’s son, George, age 9, was kidnapped off the street and a $200,000 ransom demanded. Coming only three years after the Lindbergh kidnapping, the event received worldwide attention. The kidnappers were caught, and George recovered. Needlessly to say, the Weyerhaeuser’s did not continue at the house, and by 1940 it was converted to apartments. The house has been added to over the years, especially at the east and north elevations, but the primary facades along N. 4 th and N. E Streets retain remarkable integrity despite the conversion. Roland E. Borhek (1883- 1955) attended Lehigh Univ. and worked for architect A. Warren Gould of Boston. He followed Gould to Seattle in 1905. In 1908 Borhek came to Tacoma and joined the noted firm of Heath & Twichell. While with them he designed First Church of Christ Scientist (902 Division). He started his own firm in 1910, which would continue until his retirement in 1942. Noted buildings include the Rialto Theater (310 S. 9 th ) Jason Lee Middle School (602 N. Sprague) and the Walker Apts. (405 6th Ave.). The house is currently for sale along with plans for a 22 or 28 unit apartment building on the parcel, located behind the house. The parcel is located in an area zoned Residential Commercial Mixed Use (RCX) that allows buildings up to 60 ft. in height. Such a large building so close to the house would dwarf it. However, increased development pressure in the neighborhood may endanger the house itself. We will continue to monitor the situation. 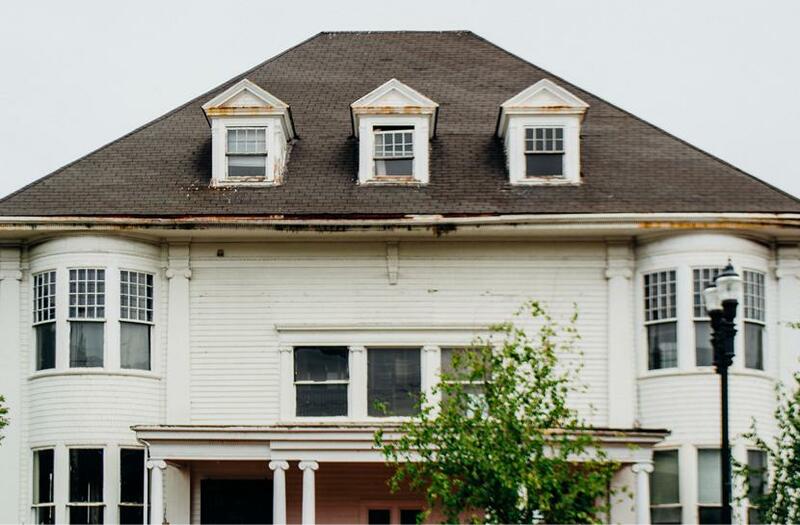 Since the house is within the Stadium Seminary National Register District, it would receive minimal protection through the proposed Demolition Review ordinance currently before the Tacoma Planning Commission. We urge you to voice support for the proposed ordinance (one of the Historic Preservation Code Amendments) at the public hearing on May 15 (Council Chambers, 5 pm) or send an email by May 17 to planning@cityoftacoma.org. The three story hotel opened in 1913 and was designed by Tacoma architects Darmer & Cutting for the Pacific Brewing Company. The hotel underwent alterations in 1948; on the first floor, Babe Lafferty’s Cafe and Shamrock Room opened in 1951 followed later by the Cortina Villa Restaurant. The Cortina Villa suffered a fire in 1975 causing the hotel’s second floor residents to flee. The first floor features red-painted concrete and the second and third floors are of dark brown-reddish brick. The building is in poor condition. Additionally, the building was purchased in 2018 and may be in the process of restoration and redevelopment. The new owner, Premier Residential, plans to convert the apartments to create micro-units, mostly for students. However, it is our understanding that no changes are planned for the front façade. Historic Tacoma is urging the owners to list the building on the Tacoma's Local Register of Historic Places. Others may also wish to contact the owner-developer at www.prcommunities.com/contact.html. 12/19/2018 - Historic Tacoma is still monitoring the situation and hopes the owners will list the building on the Local Register of Historic Places. 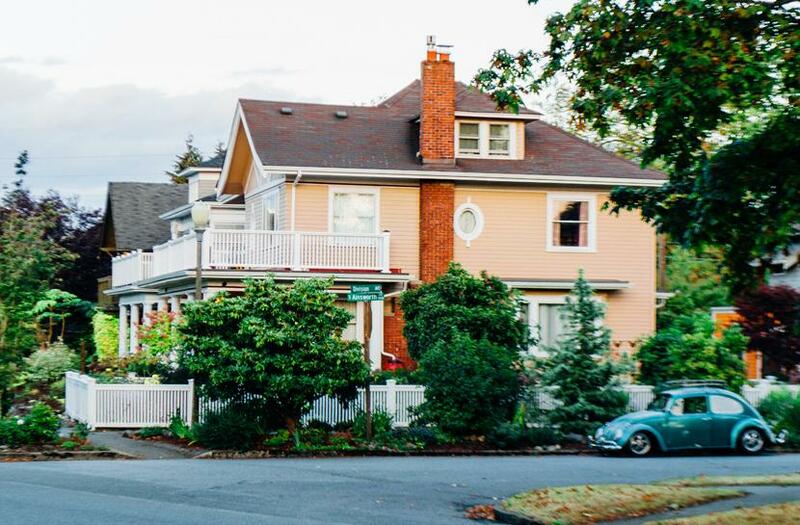 Built in 1907, 2504 N. Alder is a well preserved two-story, hipped roofed American Foursquare. The extended bay windows at the second floor corners indicate that it’s a regional variant known as a “Seattle Box,” and perhaps based on a pattern from V. W. Voorhees’ Western Home Builder plan book. The full width porch has flat roof supported by Tuscan columns set on a low box rail. On the first story along N. 25th St. are two bays each with triple windows. Built by 1909, this Colonial Revival house at 2506 N. Alder has a jerkinhead (or clipped) gable front and a bell cast roof. The gable features large boxed eaves with deep cornice returns accentuated by a curving bargeboard with wide overhangs. A variant Palladian window and 24-over-1 divided light windows add to the decoration. The full-width porch has a low hipped roof supported by Tuscan columns on a low box rail. It is an unusual example of exuberant early 20th Century house design. The house at 2510 N. Alder was also built by 1909 and in the Colonial Revival style. It is side-gabled with a large front-facing dormer. The dormer features a broken-pediment gable with large boxed eaves with deep cornice returns accentuated by a curving bargeboard with wide overhangs. The full-width porch has a low hipped roof supported by square columns on a low box rail. 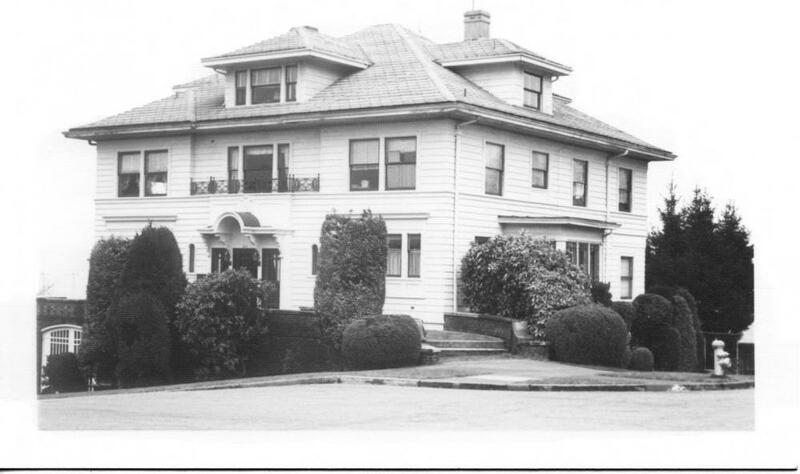 Edward D. Murphy was a prolific early home builder in Tacoma. He, his wife Cora and son Floyd would live at 2504 N. Alder from the time he built it in 1907 until 1913. It’s likely that he built all three houses. From 1917 until 1920, Charles L. van Amburgh and his family lived at 2504. A master machinist and inventor, van Amburgh received in 1919 his most important patent for the Tsungani alloy used in pistons and other engine parts. 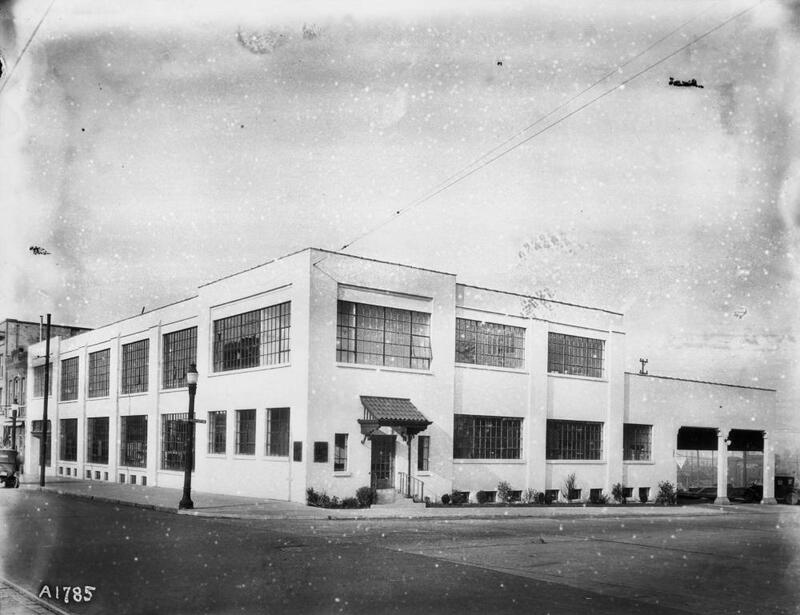 That same year he founded the Alloys Motor Parts Manufacturing Co. with a small factory located at 311 Puyallup Ave. Although he retired in 1921, the factory continued in Tacoma until 1964. Paul Shaw and his family lived next door at 2506 N. Alder from 1909 until 1920. Shaw was president of Tacoma Dental and Photo Supply Co. located on Pacific Ave. His wife Narcissa was active in the Tacoma Ladies Musical Club and her family scrapbook with many clippings of the club is now in the WA State Historical Society. John M. Frink, Jr., an accountant at Washington Rubber Co., lived at 2510 N. Alder with his wife Loucie and son John Jr. from 1909 until 1915. From 1916 until 1938, it was home to Peter and Nora Veborg, Norwegian immigrants. Mr. Veborg operated a jewelry store at 1147 Broadway. These three houses are currently zoned R-2 (Single Family Residential), and none are currently for sale. While 2504 is a duplex, the other two houses are single-family. However, they are slated to be rezoned to R-3 Multifamily along with the Big Value Store across the street. There has already been some talk of a multifamily development encompassing the three houses as well as the store site across the street. We will continue to monitor the situation. You can also send comments to the Planning Commission regarding the proposed up-zone at planning@cityoftacoma.org. The building is currently listed on the Tacoma Register of Historc Places, the Washington Heritage Register and the National Register. Built in 1928, Fire Station No. 5 (originally No. 15), this Mission style building was designed by architect Morton J. Nicholson and built by Walesby Construction Company. It is listed on the Tacoma, Washington, and National historic registers since 1987. It has not been in service since 2012 when its staff was relocated to Tacoma’s lower east side. Fire Station No. 5 was built as part of the second expansion of Tacoma’s fire department that occurred in the 1920s. Fire Stations Nos. 10, 14, 15, the fire boat station and the fire alarm station were all authorized by a $12 million-dollar bond issue passed by the citizens of Tacoma on March 13, 1928. This issue contained several public works, but the fire stations were one of the popular items since 1927 had been the costliest year for fire damage in the city’s history. The new stations were placed in areas with increased development. All were designed by Morton J. Nicholson and reflect major changes in firefighting technology since the first fire station expansion of 1907 to 1916. Motorized equipment replaced horse-drawn equipment, and hence all stations were reduced to one story. This allowed for swifter deployment of firefighters and buildings more in scale to their surrounding neighborhoods. All the stations built at this time are what have been called “bungalow” fire stations; their scale and late Craftsman and Tudor style can only be described as quaint. The domesticity of the design is barely interrupted by small hose towers and apparatus doors. Fire Station No. 5 was erected in the port industrial area. It utilizes an enlarged version of the floor plan of Fire Stations Nos. 10 and 14 yet is articulated stylistically quite differently. Its Spanish or Mission Revival design reflects the popular period revivals of the period. While employed as the Assistant City Building Inspector, Morton J. Nicholson designed Fire Stations Nos. 10, 14, 15, the fire boat station and the fire alarm station. He was born in Germantown, PA in 1891, and at the age of four moved with his family to Tacoma. He later graduated from Stadium High School and studied architecture in the offices of his father I. A. Nicholson who was the City Engineer. The younger Nicholson designed several homes and small theaters, including the Paramount at 26th and Proctor and the Community at 56th and M Streets. He also designed theaters in Sumner and Puyallup. Nicholson died on December 27, 1929, not long after the completion of his fire stations. Fire Station No. 5 was shuttered in 2012 and has since been used as storage. 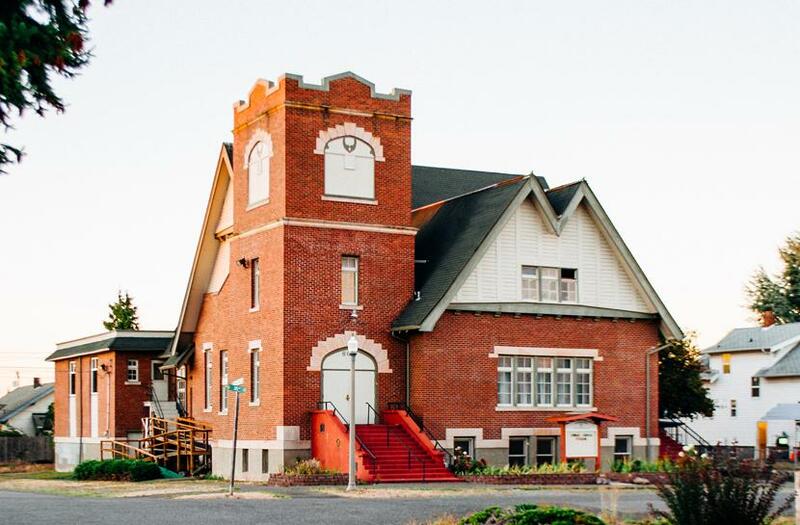 In 2018, the Tacoma Fire Department and the City of Tacoma considered the possibility of demolishing this building in order to build a new station to meet the fire protection needs of the proposed LNG plant. Public opposition to such a move caused them to consider alternatives to demolition. We encourage Historic Tacoma members and friends to contact the helpful staff at the Tacoma Historic Preservation Office or your Council Member to show your support for a future for Fire Station #5 which is both secure and supportive to the evolving mission of the Port as well as the preservation objectives of Tacoma and the State of Washington. The City of Tacoma has decided to acquire property from the Port of Tacoma adjacent to Fire Station #5 in order to build a new fire station for the Tideflats. The historic building may or may not be a part of a larger development. For now, the building will continue to be used for storage. South Sound Talk: "Tacoma’s Original Fire Stations Still Serve Tacoma, One Way or Another"
This building was designed by Tacoma architect Charles V. Rueger and built by contractor O. F. Larson & Sons in 1937 as Totem Food Store #4. Totem Food was a local grocery store chain with seven or more stores across the city. By the late 1940s, many of the Totem groceries, including this one, became Safeway stores. Over the years, the grocery has operated under different names and since 2011 as Big Value Store. The handsome brick building is in the French Eclectic style that was popular from 1915 to 1945. This picturesque style is characterized by a steeply pitched hipped roof with flared eaves, decorative hipped dormers and segmental arches on doors and windows. While usually a residential style, it is also found in neighborhood commercial buildings like this one that were designed to blend into their largely residential location. Reuger also designed a very similar building in 1939 in the same style for Totem Food Store #7 at 821 S. 38 th , now the home of Lincoln Pharmacy in the Lincoln District. Charles V. Rueger was born in Ohio but his family to Washington in 1910. Charles studied architecture at the University of Washington and started his own practice in Seattle in 1928. By 1940, he and his wife moved to Tacoma. His brother Clarence joined the practice about 1948, becoming Rueger and Rueger, Architects. He died in 1959. Reuger was known primarily for his work on school buildings, such as Fife Elementary and High Schools, Peninsula High School, Bethel High School, Clover Park High School, Concrete High School and Harbor Heights Elementary. His Bremerton Library is noted for its Art Deco design. The building is currently for sale. Although the store and its parking lot are currently zoned R-2 Residential, it and the three houses across Alder are slated to be rezoned to R-3 Multifamily. There has already been some talk of a multifamily development on this site as well as encompassing the three houses across the street. Built in 1910, the Tacoma City Stable building is unique for its place within municipal development. 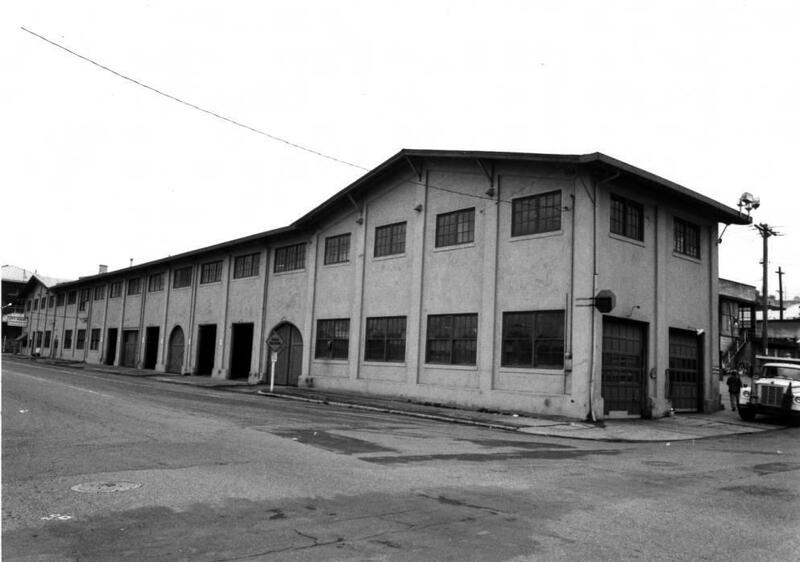 The building was designed to replace a derelict building located at 23rd and Dock Streets; at the time of its construction it was lauded as one of the most cutting edge and largest municipal stables on the west coast. The building reflects the end of an era, and was designed to house 53 horses and associated wagons used for street cleaning and other tasks that were shortly to become automated once the automobile became dominant. The building was unusual because it held not only horses and wagons, a feed grinder, and a blacksmith shop, but also a machine shop, broom making shop, carpenter shop, painting shop to paint the wagons, hospital department, and pipefitting shop. The building was built of a fireproof concrete construction for a cost between $25,000 and 30,000. The barn was lauded as a “shining example of municipal ownership” that saved money for the taxpayers. The barn was described as “ornamental” in period newspapers, and is notable for its unusual use of (typically) residential Craftsman style roof pitches with the broad A-gables on the ends of the building, deep eaves, and knee brackets that support the eaves. This may be one of the only concrete Craftsman style buildings in existence. The majority of the original multi-light windows are intact and in good condition. Those that are double hung have ogee lugs, a highly detailed finish, particularly for a maintenance structure. Some of the original wood sliding barn doors remain. The City placed this property on the market in late 2013 and conducted a RFP process with citizen involvement. The property was taken off the market in late 2014; the City states that they have not yet located funds to relocate street maintenance operations and believe that market conditions aren’t favorable to development at this time; a sale appears to be on hold. 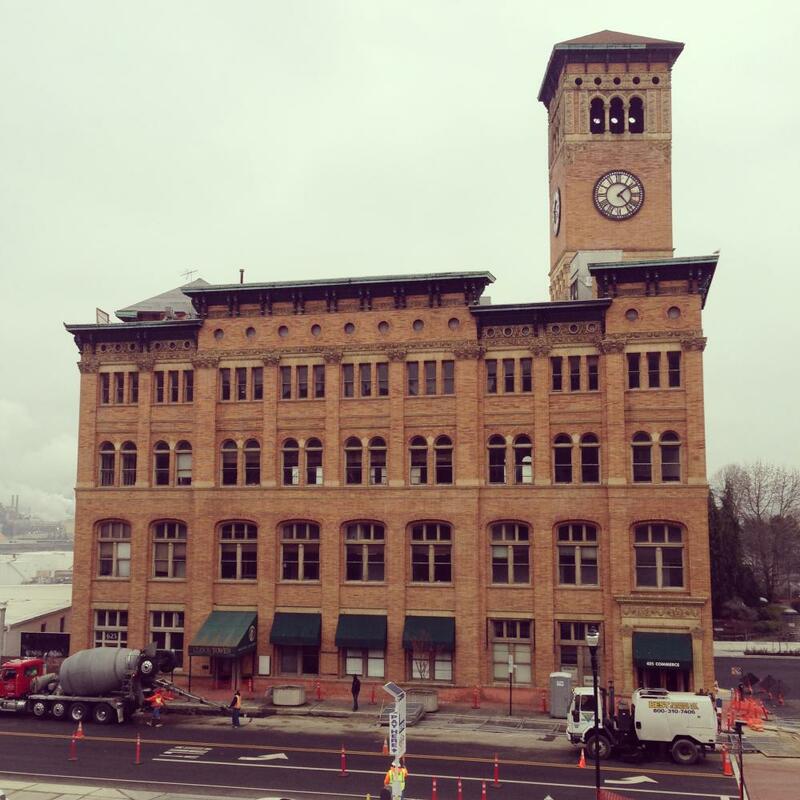 Historic Tacoma nominated the 1910 building to the Local Register of Historic Places and it was officially listed on the Register in 2014. The building is currently occupied by Tacoma Street Maintenance. The 2010 Brewery District Development Concept Study and the South Downtown Sub-Area Steering Committee both identified the City Shops & Stables as the centerpiece for a potential catalyst project for the neighborhood. It was also identified as a possible site for a historic-preservation-oriented Public Development Authority. 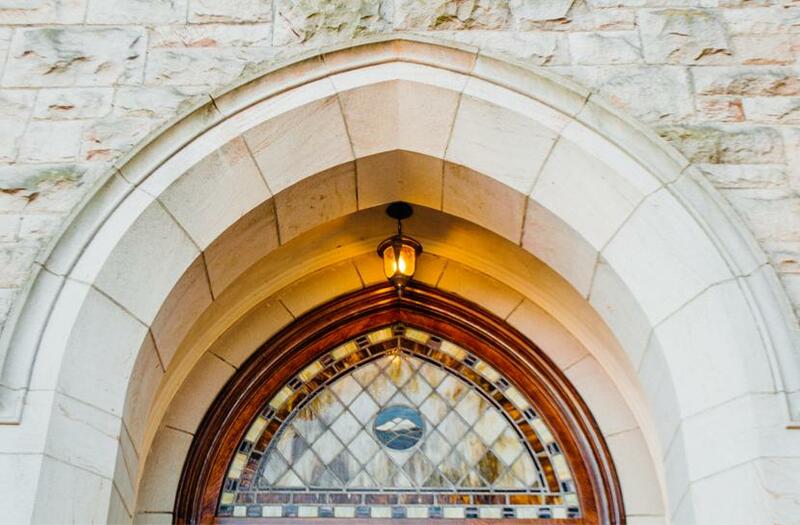 This Gothic structure is built with brick and faced with Tenino sandstone, arched windows with stained glass, and a bell tower. The interior features oak woodwork, a pipe organ, rooms for social events, a library, and gymnasium. The educational wing was added in 1928. The congregation first gathered in 1873 in a tent in Old Tacoma, moving to a wooden structure erected on St. Helens Avenue in 1883. The cornerstone for this building was laid on September 5, 1907, and on October 11, 1908, the first services were held. The church members have been active in the community from the congregation’s founding. They introduced the Tacoma Public Forum, which were evening events featuring speakers, including poet William Butler Yeats, with discussion and debate following. The Tacoma Little Theatre, originally known as the Pilgrim Players, started here in the 1920s. The church was used as a dormitory during World War II, housing and feeding soldiers while they were in town. From 1949-1953, the Crippled Children’s School was housed in the basement. In April 1950, the congregation founded the Mayflower Center which concerned itself with the well-being of those over 60 years of age and provided social activities and entertainment on Fridays. In the 1960s, the congregation developed and housed Tacoma’s first food bank. 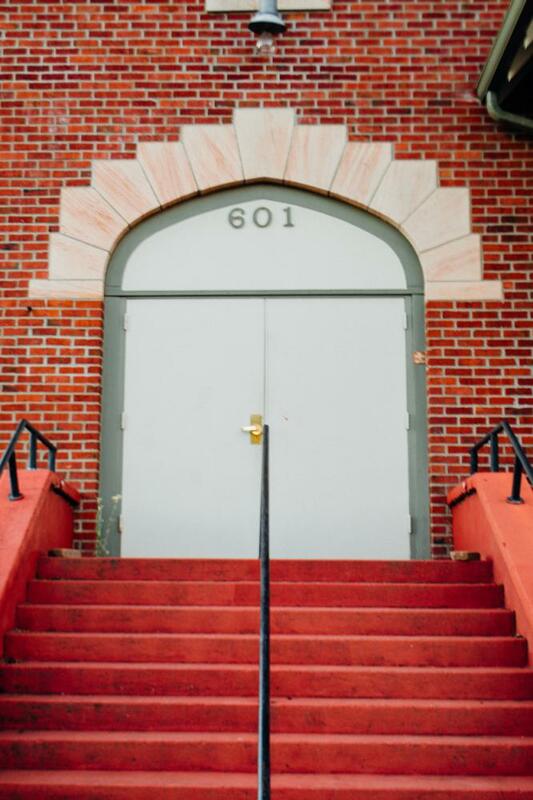 In late 2013, the Mars Hill Church purchased the building and invested approximately $1 million on repairs and improvements; they re-opened for services in December 2013. Mars Hill disbanded in October 2014. The congregation decided to continue as an independent group; in July 2015 the building was sold and is currently serving its congregation as Resurrection Church. The property is not currently listed on the National, State or Local Registers of Historic Places. J.L. Wetherby established the Royal Dairy in 1899. For many years the firm’s location was in the 900 block of A Street. In 1927, the company, then run by Bert Walker and George Turnbull and known as the Royal Ice Cream Company, erected this building. The firm changed its name again in 1928 to Medosweet Dairies. It operated under this name until 1960, at which time Foremost Foods bought the company. A shipping and loading dock originally extended the length of the main building in the rear. In the 1960s, a cold storage room and new loading dock were built on the east side of the building, and the Pacific Avenue façade was extended to cover two small adjoining buildings. While the property faces no known or imminent threat, the property is not currently listed on the National, State or Local Registers of Historic Places. Such a listing would provide the building a greater chance of historic preservation. After sitting derelict from 1983 until 2010 the building was sold to the 2413 Pacific Avenue Limited Partnership. Seattle developer American Life Inc. then renovated the property and secured a LEED Gold Certification for green building. It is now called the Foremost Dairy Building. A Social Security Administration office occupies the second floor. As part of a group nomination, Hoyt was nominated to the Tacoma Register of Historic Places by Historic Tacoma in early 2014 and added to the Register, by resolution of City Council, on October 28, 2014. 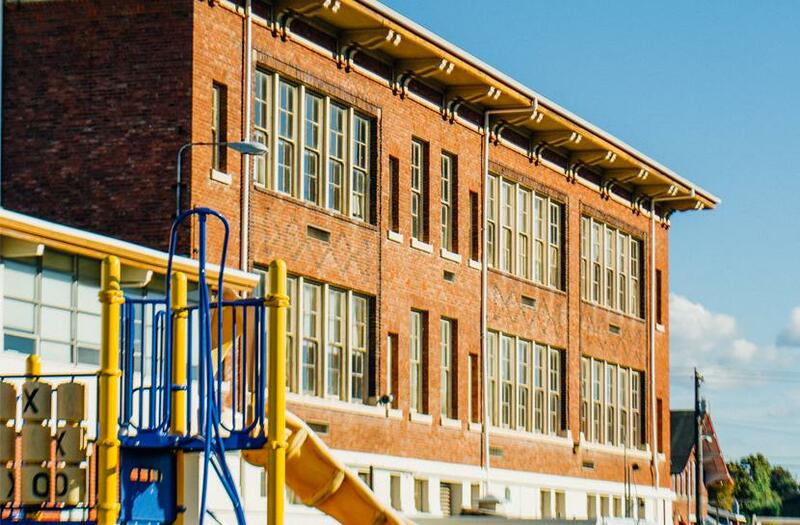 Currently the Tacoma School District has done extensive renovation of the buildings and restored its original paint scheme. Currently it operates the Hoyt Early Learning Center at the site. The building has been removed from our Watch List. 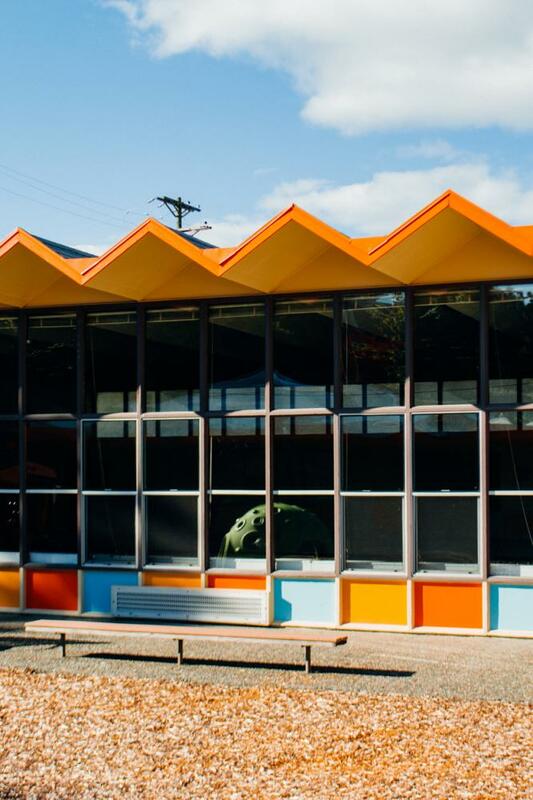 The original 12-room concrete building (the first concrete school building in Tacoma, with additions in 1957 and 1969) commands a striking view of Mount Rainier. The architect was Frederick Heath, one of Tacoma’s foremost architects, who also redesigned Stadium High School, a number of Tacoma’s great churches, and many other Tacoma projects. This two and a half story building shows Romanesque influences with a stucco exterior and keystoned arched windows on the second story. The paneled rosette adorned cornice is protected by a large hipped roof. The school served a diverse neighborhood of largely working class immigrants. Polish immigration into Pierce County began in the 1890s and was centered in this neighborhood. By the 1920s a large community had settled in the vicinity of Portland Avenue. The close proximity of this neighborhood to the City Waterway and developing tideflats enabled people to walk to work in the rail yards, lumber mills and Cartsen’s slaughterhouse. The cohesiveness of the group is reflected in their meeting hall, church and stores along Portland Avenue that were Polish-owned and -operated. While Rogers Elementary faces no known or imminent threat, the property is not currently listed on the National, State or Local Registers of Historic Places. Such a listing would provide the building a greater chance of historic preservation. The school was closed in 2002 and sold by the Tacoma School District to a church. In June 2013, the property was again sold at auction, in two parcels (the school and the adjoining playground), to Janet Lau of Mercer Island. The site is 3.7 acres and is zoned for commercial use. A subsidiary of Pacific Charter Schools Development (PCSD) has taken a long term lease on the building; they are subleasing to Green Dot Public Schools WA State. Green Dot will operate a public charter school in the building. 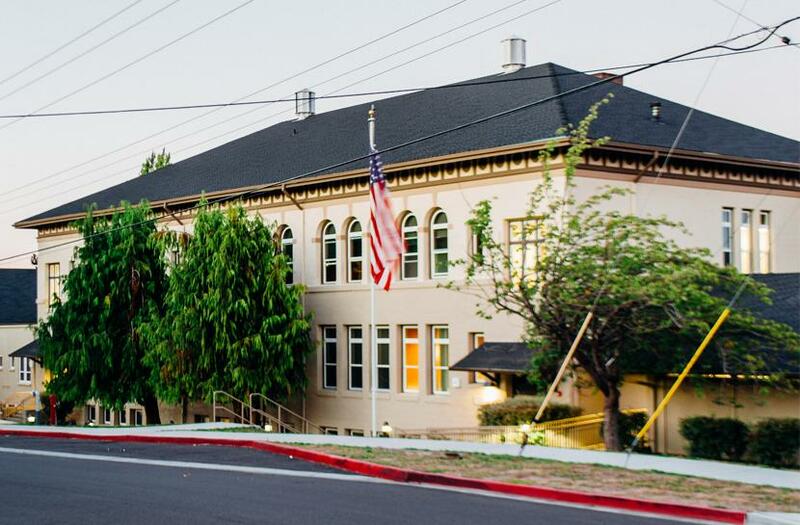 Historic Tacoma understands that with the assistance by Korsmo Construction, PCSD has done a sensitive exterior renovation of the older building with minimal exterior changes while substantially remodeling the interior. 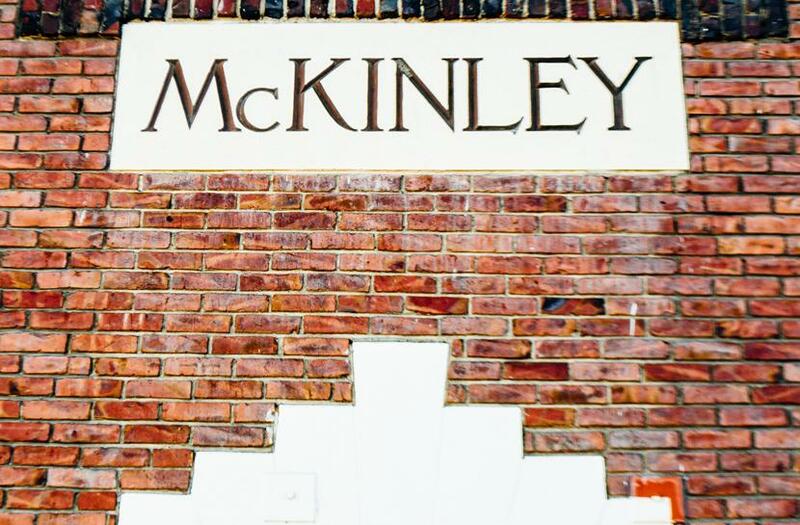 The first McKinley School opened in 1906 at East H and Columbia Streets, and was named for William McKinley, the 25th president, who was assassinated in 1901. Almost no primary source material has been found documenting the school. 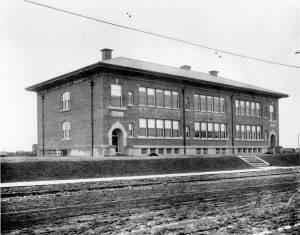 The present school was constructed in 1908 and is the best example of the American Renaissance style in the school district. This style is a variation of the Italian Renaissance Revival that was common in the U.S. from 1890-1930. The style loosely adapted designs and building massing from Renaissance palazzi. Common details are rectangular or square plans, low pitched hipped roofs, use of masonry or stucco, a stringcourse dividing floors, massive cornice, dentils or block modillions, a recessed entry, a raised basement, and full-length windows. The style is most frequently seen in commercial and public buildings. Its massive proportions usually preclude it from use in all but the most expansive residential structures. Architect John Sutton designed the 1957-58 addition that wraps around the front and one side of the main building, providing seven additional classrooms, a new entry area, administrative offices, and an all-purpose room. 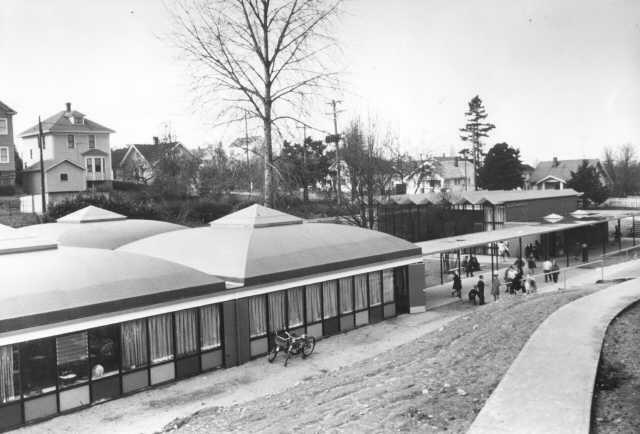 The classroom extension on the north end was built on raised stilts providing a play area for children. Translucent panels on the roof provided light to interior corridor and portions of the classrooms. In 1999 Tacoma artists Jim Robbins and Bob Henry painted an exterior mural on the south wall of the school. The two artists worked closely with McKinley students, the Eastside Neighborhood Council, and the Safe Streets Campaign. The painting highlights the theme of diversity, featuring Mt. Rainier, a heart-shaped globe, and a face divided into quraters with each piece showcasing different ethnic features. In 2005, the school district considered closing McKinley; parents fought hard against the potential closure and were successful in keeping the school open until its ultimate closure in 2011. In a building survey conducted by the school district in 2010, McKinley was noted for its architectural and cultural significance and as being highly eligible for Register listing. As part of a group nomination, McKinley was nominated to the Local Register of Historic Places by Historic Tacoma in early 2014 and was added to the Register by City Council resolution on October 29, 2014. The building was removed from Historic Tacoma’s Watch List following its listing on the Local Register of Historic Places. The building is no longer in regular use but is occasionally used as a “swing school” for students whose regular school is under renovation (e.g. Stewart Middle School students used McKinley from Fall 2015 to Spring 2016 while Stewart was being rehabilitated). It is currently being used as a transition school for Mary Lyon Elementary while it is undergoing renovations. The neighborhood, former teachers and staff have expressed concern about the fate of the structure which serves as a neighborhood anchor at the intersection of McKinley and S. 38th Street. Dominating the City’s skyline at the Foss Waterway, the Murray Morgan Bridge is listed on the Nationa, State and Local Registers of Historic Places. Key to the City’s urban development and Tacoma’s labor history, the bridge opened in 1913, linking the downtown, waterfront, and industrial tide flats. Designed by renowned bridge engineers Waddell and Harrington, the bridge was remarkable for the height of the deck, the overhead span designed for carrying a water pipe, and its construction on a grade. In 1997 the bridge was renamed after Murray Morgan, a noted Washington historian. Once an important link in Washington’s highway system, the bridge’s statewide relevance diminished when Route 509 and a new bridge at 21st Street was opened in 1997. Heightened safety concerns after the I-35W bridge collapse in Minneapolis led the State DOT to close the Murray Morgan Bridge in October 2007. Officials agreed that a bridge was needed at this location as a critical piece of the infrastructure. A number of groups have worked to preserve the Murray Morgan (11th Street) Bridge and return it to active use. In 2007 a coalition of community stakeholders, with support from federal and state legislators, worked for four years to negotiate the transfer of ownership to the City and assemble rehabilitation funding. 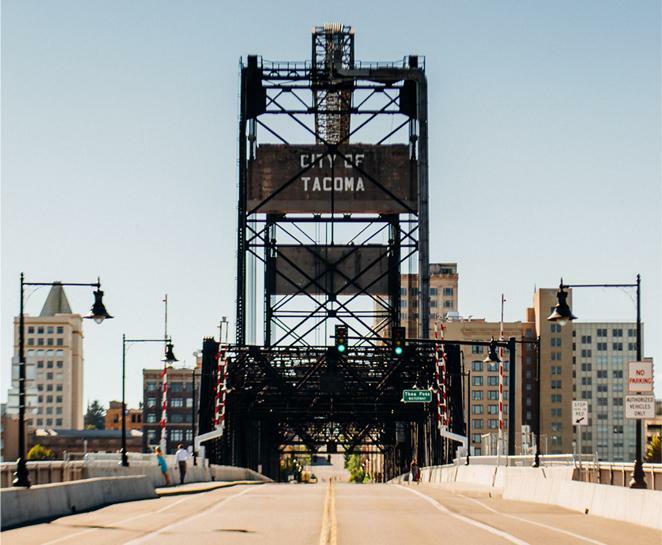 Partners included the City of Tacoma, the Save Our Bridge advocacy group, Tacoma Historical Society, the Washington Trust for Historic Preservation, Historic Tacoma and the New Tacoma Neighborhood Council. The case was compelling and the bridge was named to the WA Trust’s 2008 Most Endangered Properties list. While the bridge continued to deteriorate, State promises to give the bridge to the City were mired in disagreements related to cost and responsibility for deferred maintenance and rehabilitation. Funding was secured in late 2009, and the first phase of rehabilitation was completed in March 2010 with the bridge opened to bicycle and pedestrian traffic on March 30th. On January 4 2011, Tacoma City Council unanimously approved a purchase resolution that awarded a $49.2 million contract to fully rehabilitate the Murray Morgan Bridge and restore motor vehicle traffic to the 98-year-old structure. The bridge re-opened on February 1, 2013 with a grand opening ceremony on February 15 (Tacoma Weekly, 1/2/13). A second phase of the renovation project, involving sub-surface seismic enhancements, currently lacks funding to begin implementation. 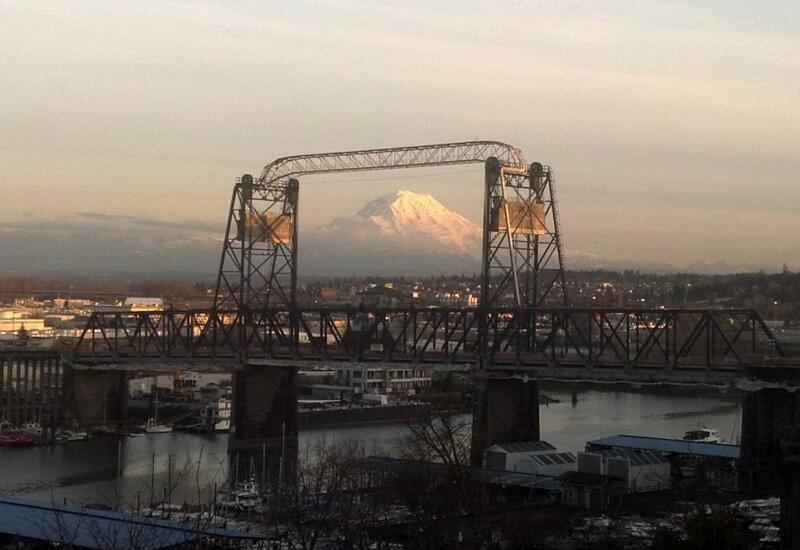 The bridge was removed from Historic Tacoma’s Watch List in February 2013. Originally designed to house the Tacoma Chamber of Commerce, the structure was adapted to government needs after the city and chamber decided to swap properties. Modeled after Italian Renaissance town halls, the 1893 structure features fine brickwork and terracotta ornamentation. The distinctive clock was added to the tower in 1904. The city moved out in 1959 and Old City Hall was saved from the wrecking ball in 1973. In the early 1980s, the structure was rehabilitated to house shops, restaurants and offices. Listed as part of the Old City Hall Historic District, it is also on the National, State, and Local Registers of Historic Places. 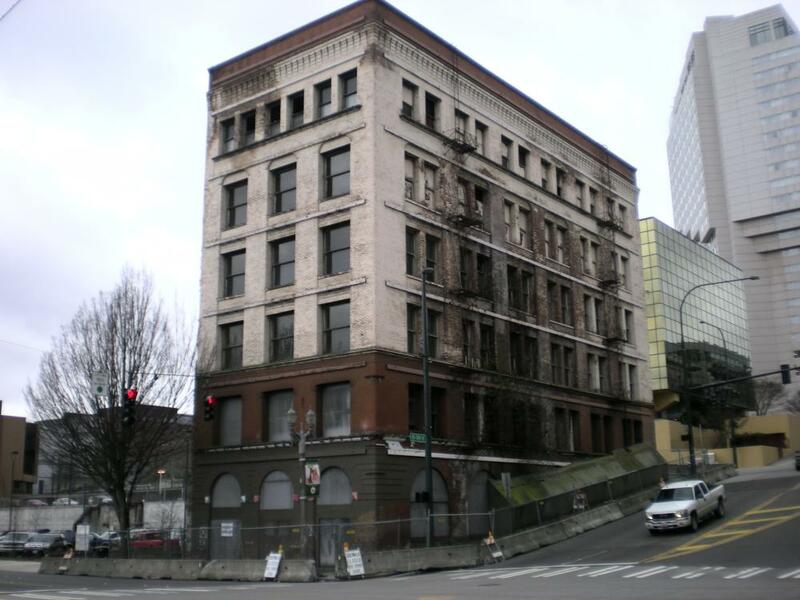 In 2005 the Stratford Company, based in Seattle and led by George Webb, purchased the building for $3.8 million with the intent of converting it to condos or loft-style apartments. After the bottom fell out of the real estate market, the building was left to deteriorate. A city building inspector declared the building in derelict condition in December 2010. 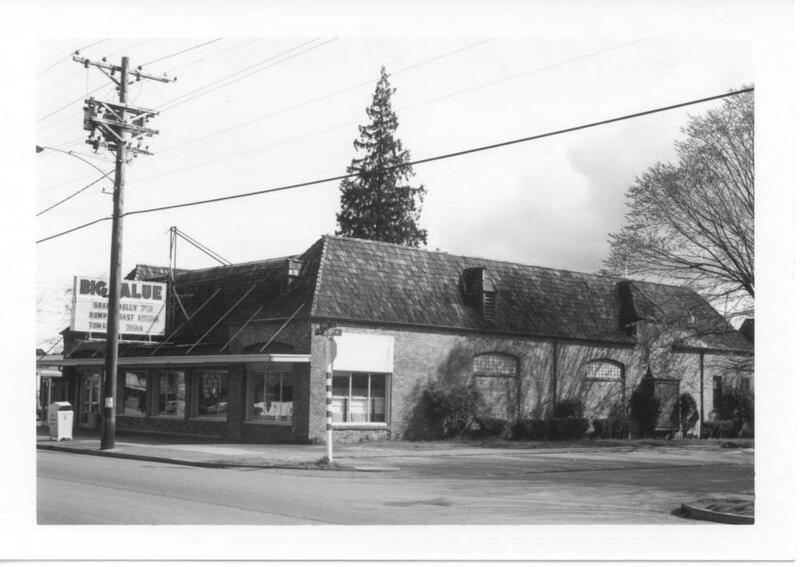 The building was named to the WA Trust’s 2011 Most Endangered Properties List on May 24 2011; the nomination was written and submitted by Gerry Sperry, Historic Tacoma member. On June 2, 2015, Tacoma City Council voted unanimously to purchase the property from The Stratford Company for $4 million, plus closing costs of approximately $200,000. To make the purchase, the City used funds from a special historic preservation and economic development fund. The City made around $150,000 to $200,000 in repairs to stabilize the building before deciding next steps. The building, which totals 33,685 square feet, was stabilized and protected. Historic Tacoma and preservation supporters applauded this move. 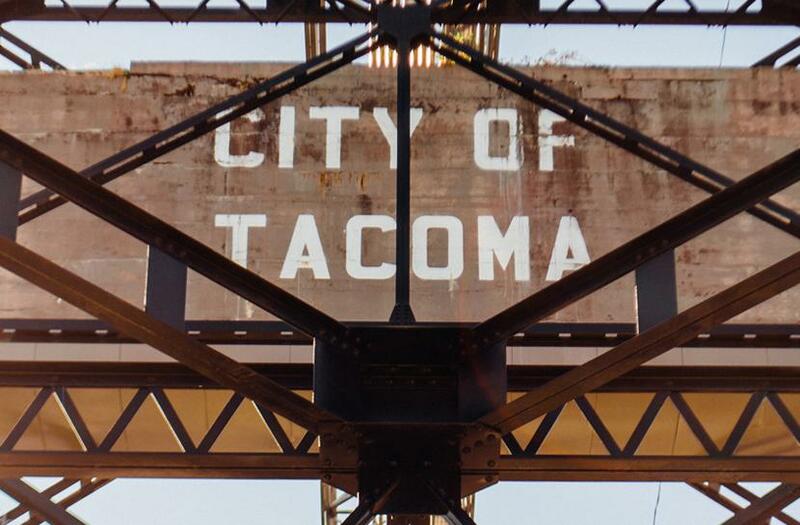 In 2018 the City of Tacoma was able to identify a development partner, SurgeTACOMA; restoration work will commence in 2019. 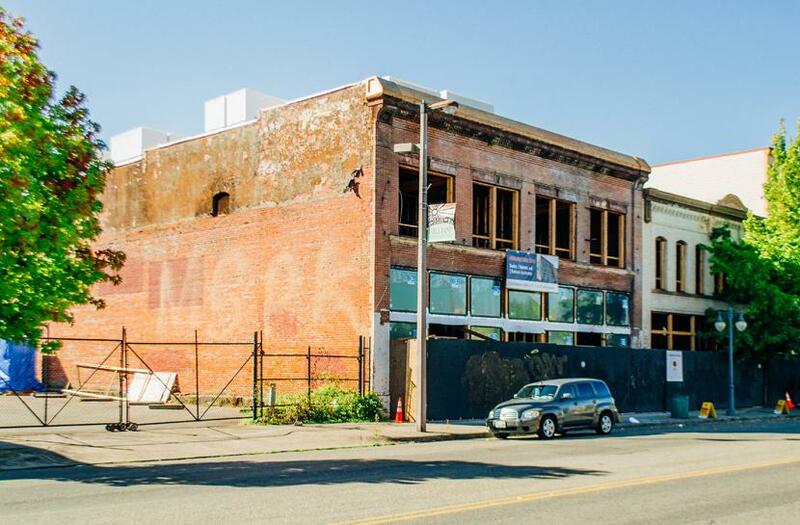 The building is iconic for cultural, historical and architectural reasons and, when rehabbed, will serve as an economic development catalyst for the north part of downtown. KING 5 News: "Tacoma's Old City Hall gets a new developer"
South Sound Talk: "Tacoma’s Old City Hall Surges into the Future"
This striking Gothic Revival structure, in the heart of the Sixth Avenue Business District, was designed by the prominent Tacoma architectural firm of Heath, Gove and Bell and was constructed of Walker Cut Stone from the Wilkeson quarry. The sanctuary includes stained glass windows on the north and west facades and a bell tower on the northwest corner. The space seats 200 and includes a choir loft, a vaulted ceiling, and a still-functioning pipe organ dedicated in 1926. In a 1927 Tacoma architectural survey conducted by the American Institute of Architects, the church received an honorable mention in the Semi-Public and Cultural Buildings category. The 17,000 square foot Education Wing, designed by prolific Seattle firm, Durham, Anderson & Freed, is of modern design and also features Wilkeson stone on its two-story west facade. The wing takes advantage of natural light from the east, south and west, as well as from a small interior courtyard. Interior features include classrooms, a large kitchen, and classic long, lean fireplaces in large lounge spaces on the first and second floors. The Sixth Avenue Baptist Sunday School was organized in 1886 at Sixth and S. Anderson Street. The church was founded in 1901 with Reverend M.W. Miller as the first pastor. Architects Russell & Heath designed a 2-story frame and shingle church on Sixth and Fife that was used from 1902 until being moved to the rear of the lot for construction of the new sanctuary. The cornerstone for the new church was laid June 8, 1924 and the church was dedicated on April 12, 1925. Throughout the years, the church has served as a center for an array of community services including a food bank, a hospice program, the Boy Scouts, a preschool, Associated Ministries, and Habitat for Humanity. In 2009 the church congregation decided that it could no longer support the building and placed it on the market. It was sold in mid-2011 to James Sheridan who owns other buildings on Sixth Avenue. Mr. Sheridan made repairs to the building, including a $60K membrane roof over the 1924 structure and interior improvements while retaining the historic fabric of the building. As of mid-2012, part of the building is being leased to the 200+ City Central Church congregation. The sanctuary and a large open space on the first floor are also being marketed as event spaces; for more information, visit the Events on 6th website. The building was removed from Historic Tacoma’s Watch List in July 2012. While the property faces no known or imminent threat, the property is not currently listed on the National, State or Local Registers of Historic Places. Such a listing would provide the building a greater chance of historic preservation. Architect Edward Frere Champney made his reputation as lead designer of Seattle’s 1909 Alaska-Yukon-Pacific Exposition. His flair for the dramatic is expressed in the lodge and its adjacent “Spanish Steps” which link Commerce Street and South Broadway. The building’s reinforced concrete construction was modern for its time but its facade is Neo-Classical in design. 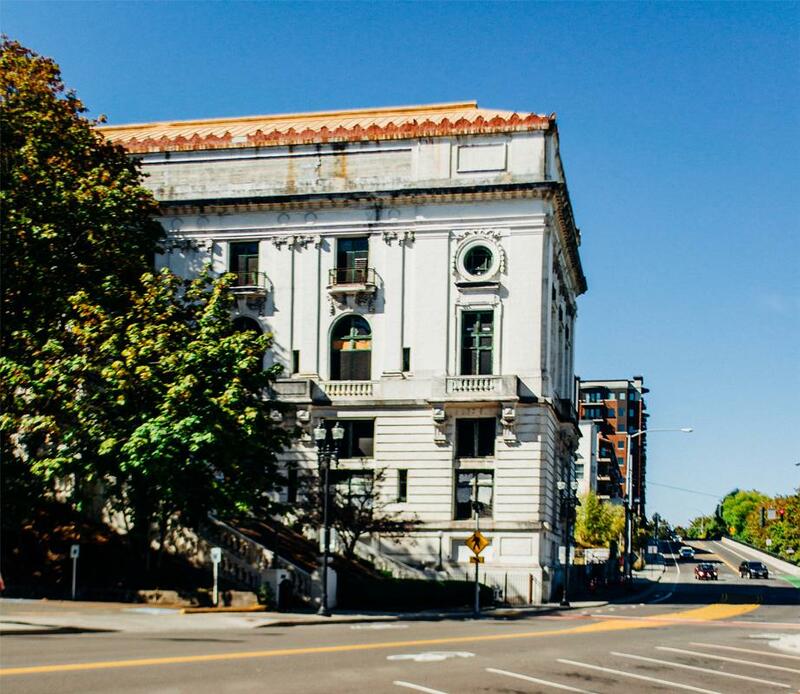 The Elks Temple is listed as part of the Old City Hall Historic District on the Tacoma Register of Historic Places, as well as the State Register of Historic Places and the National Register. The Elks building sat empty and deteriorating for decades. 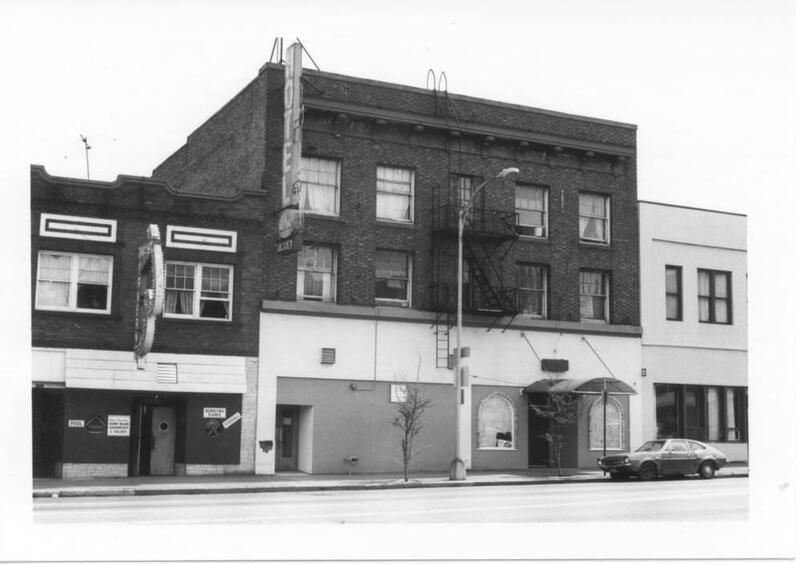 Its owner at the time wanted to demolish the building, however the City of Tacoma prevailed in court and the immediate demolition threat ended. Subsequently the building remained empty and was deteriorating badly. The building was finally stabilized and boarded up. In October 2009, McMenamins purchased the building with plans to rehabilitate it. The failure of a proposal to construct an adjoining hotel on the vacant property to the north changed the McMenamins’ original plans, now incorporating hotel rooms in the Elks building and retaining the 1937 annex on the north side. Construction, originally slated to begin in spring 2012, began in earnest in 2017. The McMenamin brothers were able to find local equity partners to fund the remaining $6-7M of a $20 million project. Click the links below the photos for more information about this project. This is a great success story, and we happily remove the Elks Building from our Watch List. A pioneer architect in Tacoma, Carl August Darmer was responsible for designing a number of prominent buildings in the city, including several hotels, the first Chamber of Commerce Building, the German Lutheran Church on South I Street, First Presbyterian (when it was located at South G and 10th Streets), the Unitarian Church on South Tacoma Avenue, the 1893 Synagogue for Beth Israel, the Point Defiance Park Superintendent’s House and several early school buildings. By the 1950s much of Darmer’s work had been replaced by newer construction. These two commercial structures are rare extant examples of Darmer’s work. Darmer was born in Stralsund, Germany on July 19, 1858 and studied architecture at Hoexter College. In 1882 Darmer traveled to the United States, and was employed as an architect in the firm of Curlett, Mooser and Macy in San Francisco, CA. 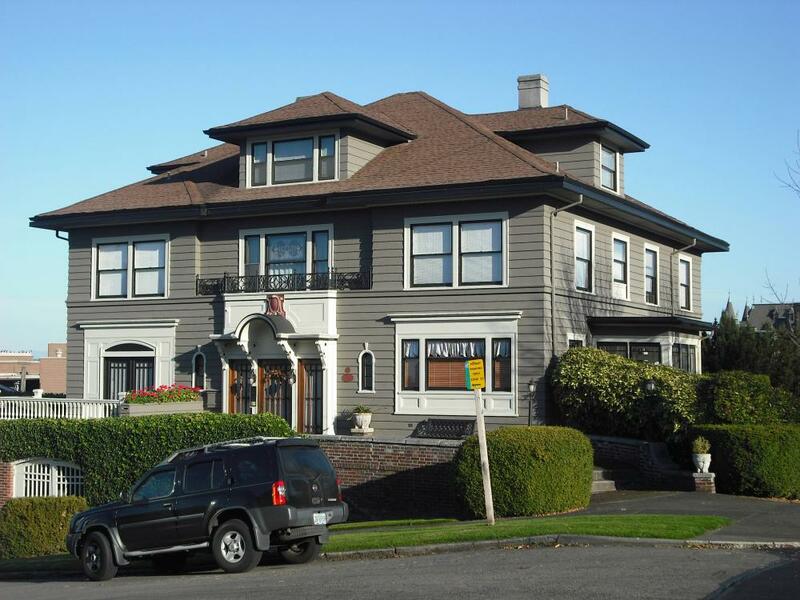 In 1884 Darmer moved to Tacoma and formed the architectural firm of Farrel & Darmer. Darmer collaborated with a number of other architects, including Charles N. Daniels and John C. Proctor during this time. Darmer worked in Tacoma from 1885 until his retirement in the mid-1930s. He passed away in Tacoma in 1952. Kellogg-Sicker Building: Builders Frank G. Kellogg and Robert Sicker hired Darmer to design the building and J. G. Dickson as the contractor. Like many commercial buildings of the era, the structure housed retail establishments on the main floor and residential units on the second floor. Three main types of tenants occupied the building for most of the twentieth century; dry good stores, grocery stores, and physician/dental offices. By 1968 Browne’s Star Grill was operating from this location. The restaurant had originally opened as a cigar and newspaper stand on 1219 Pacific Avenue. Francis Browne remained owner of the establishment until 1977. The popular neighborhood restaurant continued until it was forced to close its doors when the City of Tacoma purchased the building in 2005. Pochert Building: Herman Carl Pochert financed the building, which was designed by Darmer and built by the Knoell Brothers construction firm. There were a number of businesses that occupied the building, ranging from shoe stores, to vaudeville theatre, a carpet store, and a hotel. John Samuelson, a native of Sweden, ran Samuelson’s Shoe Store at this address for almost 35 years. A review of businesses housed in both buildings highlight the multi-ethnic diversity of the neighborhood with Scandinavian, Middle Eastern and Japanese business owners. Historic “K” Street had a strong booster organization. By the 1960s urban flight had left this once bustling area of Tacoma increasingly underutilized. In 2005, the City purchased half the city block, including the two buildings. 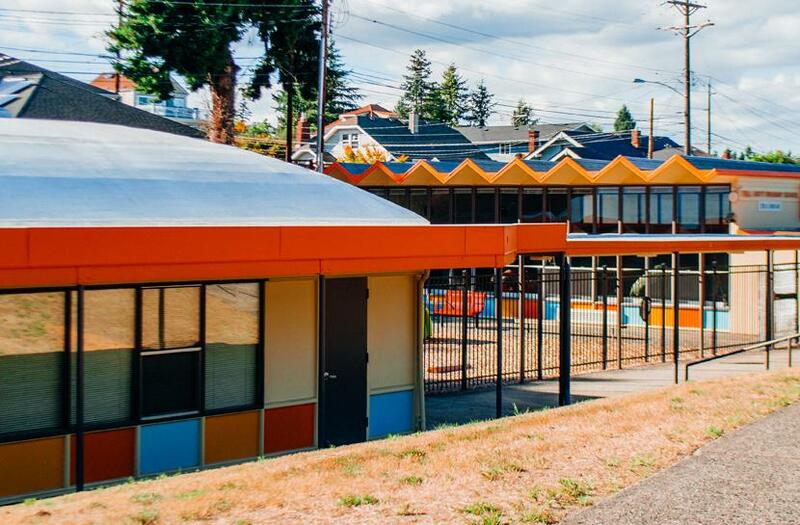 In partnership with the New Tacoma Neighborhood Council and the MLK Sub-area Plan Steering Committee, Historic Tacoma submitted a nomination of the buildings, and they were added to the Tacoma Register of Historic Places in mid-2013. At that time, Kevin Grossman and his business partners purchased the empty buildings and rehabilitated them into business spaces downstairs and apartments upstairs. This is a great success story, and the buildings have been removed from the Watch List. “The new church is one of the prettiest in Tacoma, commanding an excellent location and being well adapted to expansion at any time” so notes the 12/27/1914 Tacoma Daily Ledger. 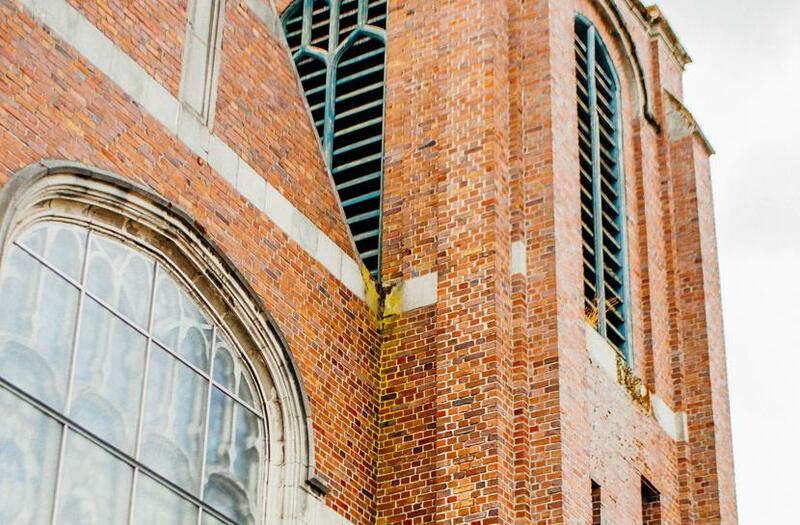 This striking brick and terra cotta church with parapet bell tower is located near the McKinley Business District. The interior woodwork is a stained natural fir and showcases a vaulted ceiling. Two memorial windows were installed from the old Fowler Church building. One commemorates the father of Governor Ernest Lister and Alfred Lister, Secretary of the School Board, and the other Jeremiah Lister and his wife. Trinity Methodist Church grew out of a merger between the Fowler Methodist Church and the McKinley Park Church. Fowler Church was organized in 1889 with Rev. B.F. Brooks, and McKinley Church was a ‘daughter’ church of Fowler that first started as a mission Sunday school and later organized as a church. The church was formally dedicated on January 10, 1915; programs throughout that week featured banquets, musical, literary programs, and speakers. In 1923, the McKinley Hill Community Building was erected at the rear of the church by Trinity Methodist Church and the McKinley Hill Improvement Club. This frame construction housed a 60’ x 30’ gym with adjoining shower and locker rooms and several spacious clubrooms. This provided daily activities and community building for the McKinley area young people. McKinley Hill began to develop after 1904 when the Northern Pacific Beneficiary Association Hospital was built and when streetcar transportation was extended to southeast Tacoma. Development proceeded in pace with the extension of the streetcar line. Further development was stimulated by the Tacoma and Eastern Railroad depot and freight facility at S. 64th St. and McKinley Ave. The line was the major rail route to Mt. Rainier before popular use of the auto. 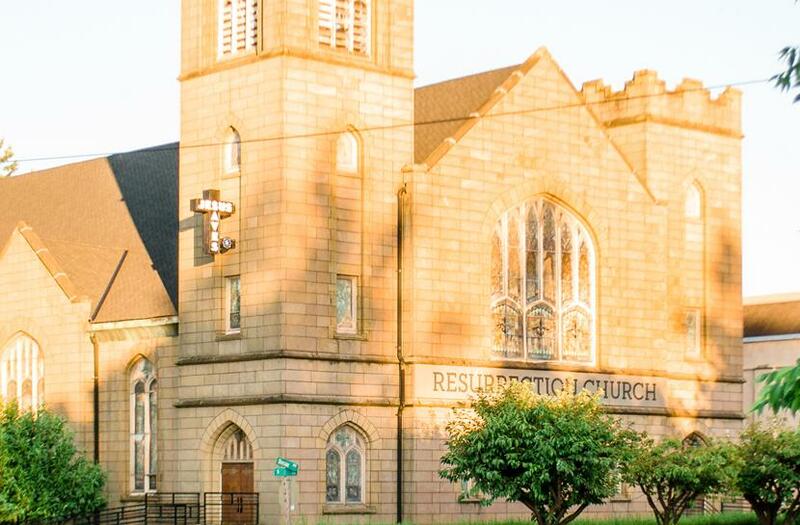 After the Trinity congregation disbanded in late 2007, the deteriorated structure became the responsibility of the United Methodist judicatory/Pacific NW Conference which worked with Calvary United Methodist Church to rehabilitate the church for this growing Samoan congregation. Through a significant commitment of time and labor on the part of the congregation and financial support from the conference, rehabilitation was completed in early spring 2009. The church was reconsecrated and dedicated as Kalevaria United Methodist Church on March 28, 2009. 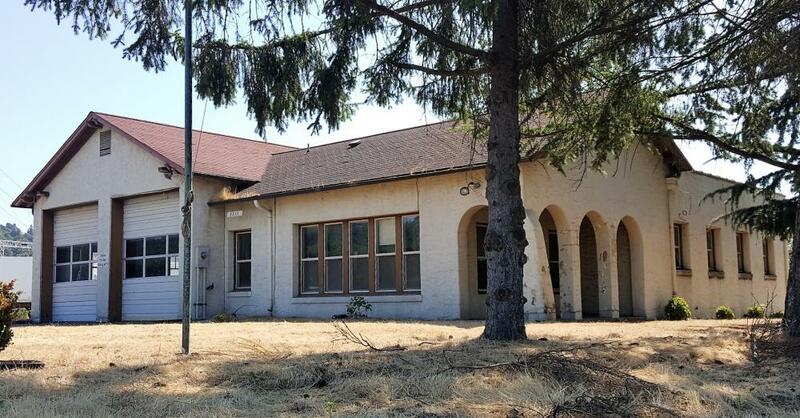 The property has been removed from Historic Tacoma’s Watch List and is a great rehabilitation success story. The Union Club was founded in 1888 by twenty-seven of Tacoma’s founding fathers. The club was designed to entertain visiting dignitaries as well as to have a place for special social celebrations for Tacoma’s elite. One of the many dignitaries entertained here was William Taft. The Clubhouse was built two years later. The neighborhood constitutes the early government, finance and business center of the original Tacoma town site, and the buildings are representative of activity in this area between the early 1800s and 1920s. During this period, the Cascade Division of the Northern Pacific Railroad was completed (1887) and the development of Tacoma as that railroad’s terminus began. By 1918, other railroad companies had developed their facilities in Tacoma and the Port District had been formed thus providing opportunities for further activity, change and expansion in the central business district. The buildings were constructed to meet the social and cultural needs of Tacoma’s citizens as well as to establish the economic base necessary for a city’s growth. The two and one half story wood frame Colonial Revival building features a hip roof with gable dormers and pilasters flanking two story round bays at both ends of the front facade. The Ionic capital motif of the pilasters is repeated on smaller pilasters between the windows on the second story. The flat roof porch extends to the edges of the bay and is supported by pairs of Ionic columns. The single flat roof on the side is an alteration. In 1939, the Union Club and the University Club merged because of lagging memberships with both organizations. The property was sold to club member David Smith in 1985 who opened the Palm Room, later named David’s on Broadway. In recent years, however, the building was for sale and unoccupied. The property was listed on the Tacoma Register of Historic Places by unanimous approval of City Council on July 21, 2009. The nomination was submitted by Historic Tacoma with the support and research of neighborhood residents. In 2016 the property was purchased by Amber and Eli Moreno, who undertook a major renovation of the building. They now operate it as a co-working and event space, known as Union Club Tacoma. This is an excellent reuse outcome, and the property has been removed from the Watch List. Early in the 20th century, the Wedge was a very desirable area due to the close proximity to schools, churches and the hospital. The streetcars lines ran on the 3 boundaries of the Wedge district and residents could easily get to any location in Tacoma. Pivotal structures are the Titlow Mansion (410 S. Sheridan), J.C. Todd House (502 S. Sheridan), Tweeden House (514 S. Sheridan), and the Nelsen House (405 S. Sheridan). The continued expansion of the MultiCare Health Systems campus was a growing concern. Under the City’s proposed Mixed Use Center for MLK, the hospital/medical zone (MultiCare) footprint would expand from L (in the Wedge) to I Street (bordering the park) with heights up to 150′. In late 2008, the neighborhood submitted a nomination for a Wedge Historic District to the City of Tacoma’s Landmarks Preservation Commission. In 2010, the nomination was approved by the Landmarks and Planning Commissions with boundaries including MultiCare properties. 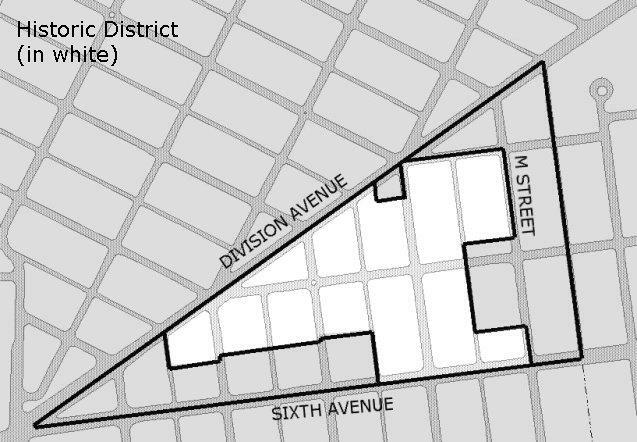 In spring 2011, City Council approved creation of the Wedge Historic District and the adjoining Conservation District with several properties, including MultiCare’s, excluded from the Historic District. The district has been removed from the Watch List. Built in 1890-91, the building’s significance stems from its breakthrough design and from the fame of the Chicago architects who designed it, Daniel Burnham and John Root, considered among the fathers of the American skyscraper. The Luzon was a transition building for the firm because it incorporated a relatively light steel framework along with traditional masonry construction. Before the Luzon era, major buildings were limited in height because all of their weight was borne by their thick masonry walls. Once Burnham and Root substituted steel framework for the heavy masonry, taller buildings became a possibility. The Luzon was one of two Burnham and Root buildings in Tacoma, the other, the 12-story Fidelity Building at South 11th and Broadway, was torn down in the early 1950s. The Luzon was demolished in September 2009. In 2008, the Gintz Group had proposed a complete renovation of the Luzon Building with an estimated project cost of $8.1M. The developer was approved for federal tax credits and arranged a 15-month no-interest loan from the City of Tacoma to help finance the project. Unable to obtain financing, in mid-April 2009, the Gintz Group put the building back on the market. In early August, LI Investments proposed a $6M project, but their purchase offer was rejected by Gintz. The property was listed on the National, State and Local Registers of Historic Places and was one of Tacoma’s foremost architectural treasures. Due to its condition of “progressive collapse” and public safety risk, and failure of the owner to take action to stabilize or rehabilitate the building, the City demolished the building in late September 2009. Jennifer Mortensen’s powerful article in the 2010 Trust News, “Lost Urgency: The Luzon Building” describing the Luzon story and what we might learn from it.